Croatia on Thursday celebrated the 16th anniversary of military operation “Storm” which crushed a Serb rebellion and sparked an exodus of some 200,000 Serbs, while Serbia commemorated victims of what it calls the worst ethnic cleansing in Europe after World War Two. Croatian Prime Minister Jadranka Kosor said operation “Storm” was a “brilliant military action” and a great victory which re-united the country. “The Day of Victory we celebrate in peace and freedom, taking our place in the European family of states and nations,” Kosor said. Serbian president Boris Tadic said the anniversary was a date of “sorrow and remembrance”. Justice has been partly served by the fact that Gotovina and Markac were in jail, but a lot more remained to be done, he added. Tadic attended a commemoration in Belgrade’s St. Mark church for the victims of the operation “Storm”. Religious rites were held by the head of the Serbian Orthodox Church patriarch Irinej. Croatian forces launched an offensive on self-proclaimed Republic of Serb Krajina on August 4, 1995 and in only two days re-conquered a third of its territory held by local Serbs who rebelled against Croatia’s secession from the former Yugoslavia. According to Serbian sources, 1,205 civilians, including 522 women and 12 children, were killed in the operation and some 200,000 fled to Serbia. According to Croatian Helsinki Human Rights Committee, 677 Serb civilians were killed. The United Nations War Crimes Tribunal for the former Yugoslavia last April sentenced two Croatian generals, Ante Gotovina and Mladen Markac, to 24 and 18 years in jail respectively for crimes committed in the operation. According to the indictment, they were a part of a “joint criminal enterprise”, headed by late Croatian president Franjo Tudjman, aimed at expelling minority Serbs from the country. Gotovina and Markac have appealed the sentence. Croatia is expected to join the European Union in 2013, but Belgrade insists Zagreb should first facilitate the return of refugees, resolve their property claims and create conditions for normal integration into society. Today marks the 16th anniversary since the beginning of Croatian army and police Operation Storm that led to the exodus of more than 200,000 Serbs from Croatia. Serbian Orthodox Church (SPC) Patriarch Irinej held a memorial service at St. Mark’s Church in downtown Belgrade for the victims of the 1995 military operation aimed against Serb areas of Croatia. The memorial service was attended by Serbian President Boris Tadic, Deputy Prime Minister in charge of refugee issues Jovan Krkobabic, and by other government officials. Representatives of more than 100 refugee and home clubs associations of Serbs from Croatia said they will hand the Croatian Embassy in Belgrade an open letter for Croatian Prime Minister Jadranka Kosor and Deputy Prime Minister from the Serb community Slobodan Uzelac. The representatives are demanding from Croatia to return all the property that belongs to the Serbs who had to flee Croatia, and also to pay the people the pension arrears and their savings in banks, before the country enters the EU. 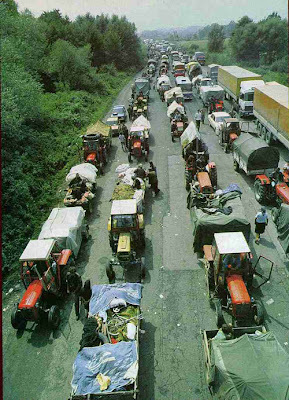 On August 4, 1995 the Croat armed forces in cooperation with Muslims in Bosnia-Herzegovina launched Operation Storm which claimed lives of nearly 2,000 Serbs and sent about 340,000 people to expulsion. Nearly 2,000 Serbs were reported missing and 220,000 were expelled from the Republic of Serb Krajina during Operation Storm which was shortly followed by Operation Mistral, in which around 655 Serbs were killed and 125,000 driven from their homes in 13 municipalities in Bosnia-Herzegovina. According to the data of the NGO Veritas, a total of 1,011 Serbs are still registered as missing, including 660 civilians, 337 of whom are women.